Rockin’ Jump is going pink in October, and the Ultimate Trampoline Park is giving patrons an opportunity to jump in feet first to help a worthy cause while also having a wonderful time. In support of Breast Cancer Awareness Month, Rockin’ Jump is continuing its “Pinktober” campaign by trading in its trademark green Rockin’ Socks for pink ones. During the month of October, guests who purchase a special pair of Pinktober Rockin’ Socks will see a portion of the proceeds donated to various foundations for breast cancer education, research, treatment, and finding a cure. The limited-time-only Pinktober socks are decorated with the “Jump for a Cure” logo and are perfect for bouncing, climbing and playing on Rockin’ Jump’s fun-filled play stations, as well as making a meaningful fashion statement outside the arena. Using your feet to kick in to the Pinktober cause is a fun and easy way to join Rockin’ Jump in an effort to sock it to breast cancer. Featuring 48 locations across the world, each Rockin’ Jump franchise will contribute to the breast cancer and women’s health foundations of their choice. For instance, the California location in San Carlos will be donating to the HERS Foundation, while the Rockin’ Jump in Dublin will be contributing to the popular Bras For The Cause campaign. Joining the fight against breast cancer is a natural fit for Rockin’ Jump’s core values of providing Safe, Clean, Fun for families and promoting healthy lifestyles. And the Pinktober sock campaign allows Rockin’ Jump’s socially conscience customers to get involved in helping battle a major health epidemic. Each year more than 252,710 women in the United States will be diagnosed with breast cancer, and more than 40,500 will die from the disease. On average, a woman is diagnosed with breast cancer every 2 minutes. More than 3.3 million breast cancer survivors are alive in the United States today. Women with an average risk of breast cancer (most women) should begin yearly mammograms at age 45. Depending on other risk factors (family history, medical background), consult your health care provider about when you should begin regular screenings. Many of the foundations on Rockin Jump’s Pinktober donation list also help provide access to free and affordable mammograms to at-risk women, as well as invest in medical research, provide free information and services to those battling the disease, and support breast cancer survivors on their road to recovery. Rockin’ Jump also allows patrons to do something good for themselves. By sporting your Pinktober Rockin’ Socks both on and off the play stations, you are not only raising breast cancer awareness and funds, but also helping yourself by participating in healthy exercise that can help prevent cancer and other health issues. Pinktober is a win-win for everyone involved! 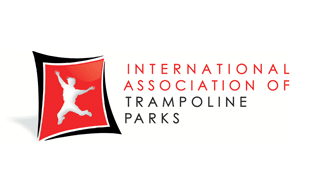 Rockin’ Jump, The Ultimate Trampoline Park, is dedicated to providing safe, clean fun for families and offering healthy alternatives for spending quality time together on our unique arenas and play stations. Featuring attractions that are designed with safety in mind and fun as the goal, Rockin’ Jump offers a clean, climate-controlled and family-friendly environment where guests can enjoy a good workout while also putting a smile on their faces. Rockin’ Jump holds its 48 franchises to the strictest of standards to ensure safety and cleanliness, and our team of Jump Patrol employees constantly monitor the facilities, where patrons can soar in the Open Jump arenas, jump into pits of soft foam cubes, play trampoline dodgeball and basketball, and do flips and gymnastics moves on the Stunt Bag, among other activities. Rockin’ Jump also hosts birthday parties and special events for groups looking for some good, clean fun.